According to the author (above), the “right” range at which a dog quests is a matter of the hunter’s personal preferences as well as the birds and cover being hunted. A dog’s range is influenced more by breeding than training. There’s no such thing as the “right” range at which a pointing dog should hunt. Yet I often hear hunters ask and argue about the topic. 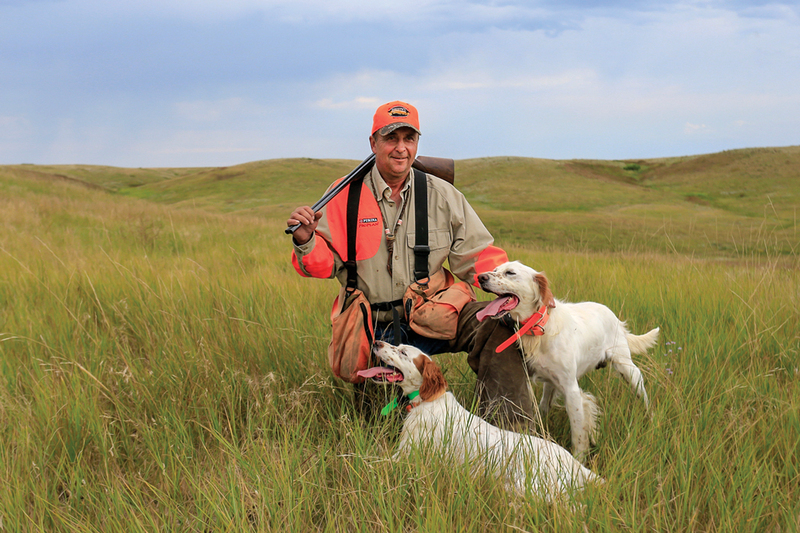 There’s no one-size-fits-all answer, because hunting sharp-tailed grouse on the prairies in South Dakota is vastly different than hunting ruffed grouse in the aspens in northern Minnesota. I use this comparison because those are the two places I spend my falls hunting and guiding. While I don’t know the best, most-effective range for your pointing dog and the way you hunt, I can help narrow your options. I believe that if a dog has good manners around game, the range at which the dog hunts is not the most important factor in upland hunting success. But that doesn’t mean there aren’t a number of variables to consider in addition to terrain/cover and bird species. Are you the type of hunter who can ramble through cover for six or eight hours a day, or do you prefer shorter, more leisurely hunts? Can you tolerate a dog that spends much of the day as a speck on the horizon? At the other extreme: How do you feel about a pointing dog that hunts at flushing-breed range? The answers to these questions go to your individual preferences, and before you pick your next pup, you need to have a clear picture of what you’re looking for. First, let me elaborate on the importance of picking the right dog. This matters more than anything, because when a dog is wired a certain way, there is just so much that training can do to influence it. Let’s say you’re positive you want an English setter. What should matter more than anything is making sure you’re buying a pup from parents or a bloodline that represents your preferred hunting style. If you want a close-working dog, for example, don’t buy one out of heavy-duty field-trial stock. On the other hand, if you want a dog that really eats up the prairie, then look for a pup out of a line that is bred for that. Don’t automatically assume that all dogs of a certain breed will hunt one way and that those of another breed will hunt a different way. I don’t label a breed as working “close” or “far.” Focus on the individual dog. Among setters, for example, if you want a close-working dog, you could go with one out of Ryman or Hemlock lines. On the other hand, I have a client with a German shorthair that runs as big as a lot of pointers and has won some of the most prestigious championships. The owner hunts behind him on horseback. While I do want my dog to ‘check in’ every so often, that doesn’t mean running all the way back to me. In some cases you might be better off buying a started dog from someone who understands your needs and can match the dog to your hunting style and training capabilities. Every pup in a given litter will not act identically. Even though a certain line of dogs might be generally classified as “close working” or “wide ranging” or “ideal for foot hunters,” it is impossible to guarantee the hunting style of individual pups. Buying a started dog eliminates the guesswork. I have a client whose situation is a great example of fitting the dog to the person via a started dog. He is in his 70s and has bad knees. His grouse hunting is limited to walking logging trails, and he told me that what he wanted more than anything was a nice little setter. I recommended an 18-month-old dog that I’d trained and spent enough time with to know that she was a close, thorough worker. That dog might not have been a good fit for a guy who wanted to really put on the miles, but for this guy she was the perfect solution. Don’t get fixated on range when you first begin training a pup. Instead focus on getting the dog to hunt in a pattern and under control. That is as simple as walking your dog through a field as it drags a check cord—which is how I start all of the dogs at my kennel. I will walk a pup through a pasture or field and start teaching it to quarter in front of me. If I walk to the left, I will wait until the dog comes around hard to my left, and then I’ll give it a “Hup” command or whistle blast (you can use whatever you want) to turn the dog and make it come back the other way. The dog then swings to the right, and I repeat the process back and forth. I will walk in a zigzag pattern through the field. Soon the dog is zigging and zagging with me and turning on command. The check cord acts as a 30-foot handle that I can step on or pick up if it becomes necessary to remind the dog to turn with me. If you have a dog out in the field with no check cord, by the time you catch the dog you already have missed your opportunity for the correction. Whether you have a half-mile dog or a 50-yard dog, what is important is that you are the one in control. That means the dog will change directions on command and come to you when called. Some guys get nervous when their dog is beyond a distance that they feel is appropriate and will call it back in every so often, just to enforce that the dog remembers who is in charge. I don’t recommend this. For one thing, it’s a lot of wasted energy. Considering how many miles a dog can put on in a day, why would you want to add extra steps? While I do want my dog to “check in” every so often, that doesn’t mean running all the way back to me. When a dog crosses in front of me at 100 or 150 yards and glances in my direction, it’s like saying, “Yep, I see you. We’re good.” And the hunt continues. In the grouse woods it may be a similar acknowledgment but at more like 50 or 60 yards. When you have a dog with big prey drive, the sky’s the limit as to where it’s going to run. If that’s what you want, buy from that kind of breeding and that’s pretty much the end of the discussion about range. If you have a dog that hunts closer than you’d like, getting it to open up and hunt farther out is more of a challenge. Here are a few things you can try. First, when the dog is young, run it in big country in which there aren’t a lot of obstacles to slow it down. Next, make sure that during training your dog finds birds in certain types of cover and that cover becomes an objective. An example would be a tree belt out on the prairie. When a dog learns that it’s exciting to check out tree belts because that nice, thick cover holds birds, pretty soon you’ll see that type of cover pulling your dog out to it. Another thing you can do to develop a bigger-going dog is to run it with an older dog that naturally ranges farther. The younger dog may end up following the older one to some degree and eventually break off and start confidently hunting on its own at longer distances. Realize, though, that when you start to hunt, that dog likely will fall back into its comfort zone. Plant training birds in brush piles and deadfalls, and then hunt toward those objects. Keeping tabs on range can be trickier in the grouse woods because of limited visibility. I am big on using bells on my dogs. A bell tells me right up to the second where my dog is. This constant connection eliminates over-handling, so the dog hunts naturally and more effectively. One thing you can do with a younger grouse dog to reinforce that it should check in is when you’re walking in the woods, play hide and seek. Literally hide from the dog. A young dog probably won’t want to be alone and, by having to hunt for you every now and then, naturally will want to hang closer. During training, make sure that a young dog finds plenty of birds. Plant training birds in brush piles and deadfalls, and then hunt toward those objects. This does two things: First, it teaches the dog that hunting near you is fun, because there are always birds around, and second, it teaches the importance of checking out thick cover, which is an objective in the same way a prairie tree belt is. I have a luxury that many hunters don’t, which is that I own multiple dogs that run with varying styles. When I am guiding, I choose a dog that fits the client who is hunting with me. For a slower grouse hunter, I will pick a dog that runs at 70 yards or so. When that dog points, I know there’s a good chance we’ll be able to get there in time to get a shot. It would make no sense to take out that same hunter with a 200-yard dog, because we probably would never get to most of the dog’s points in time. What’s my preference in terms of range? I don’t really have one. If I did, I would have only one type of dog. With my closer-working dogs, I appreciate the fact that they’re almost always in contact and that I rarely have to talk to them. They know that when I do say something, it must be really important. On the flip side, my big-running dogs pull me to birds rather than relying on me to put them in the best cover, and that’s a great tool to have. Like I said, there isn’t a one-size-fits-all solution to finding the “right” range. The only question is: What’s right for you? Specializing in English setters, Steve Grossman has been a professional dog trainer for more than three decades. 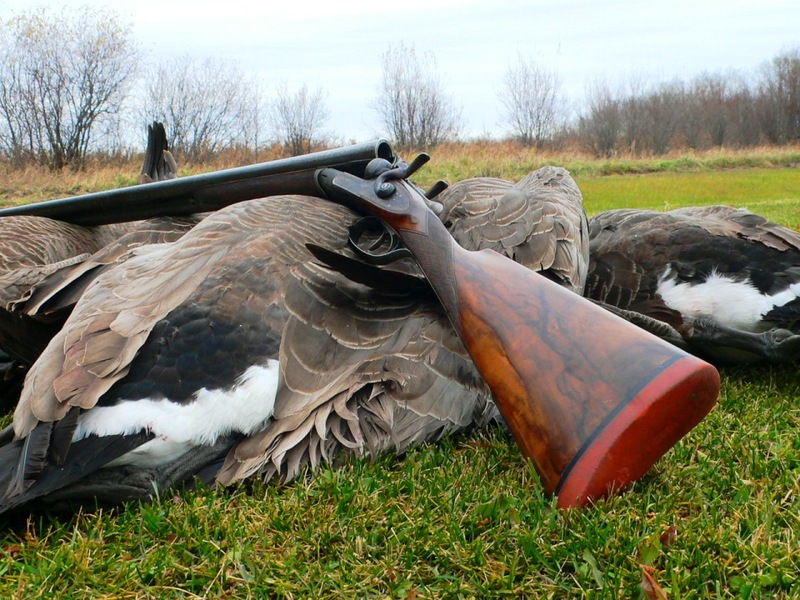 He owns and operates two of North America's premier, Orvis-endorsed wingshooting destinations: Little Moran Hunt Club, in Minnesota, and Wild Prairie Lodge, in South Dakota. For more information, visit his website.